It is funny. If I wear a knitted sweater, people always ask me if I made it. Chances are, I did not. Actually, 100% of the time, I did not. I knit myself one (1) sweater (which I inadvertently felted!). I can tell you that I enjoy knitting mittens, cowls, or socks for myself more out of necessity. Anyone I work with will tell you that I walk at least one mile during my lunch hour under any and all weather conditions, so dressing warmly in wool is a must! When it comes to knitting nice but not utilitarian projects for myself, it is damn near impossible for me to do. That being said, the one thing I get immeasurable delight from is knitting for others. I don’t know. People of all ages love receiving something hand-made and infused with love! Knitters just love knitting; it is a win-win situation. That brings me to this recent project. I work in a middle school. Every year, our art teacher (jfam on Ravelry) initiates an outreach project for students and adults alike to participate in. The Knitting Art Club begins meeting in November with a brief explanation of 1. the art of knitting, and 2. the value of giving to people in need. The Knitting Art Club has made hats, mittens and scarves in the past, but this year, our focus is blankets to be donated to the NICU of our local hospital. So many people experience the unfathomable joy of childbirth, but at the same time, that euphoria comes with the experience of knowing the fragility of life first hand due to giving birth to a child whose life is in the balance. How profound. Given that personal experience, knitting a blanket for a newborn brings the love, faith and support of so many people…known and unknown. No matter what your faith, the power of having the unconditional and anonymous support of others can be life changing. Since this project began, I have been humbled by comments from people who have had a traumatic delivery. So many people live their lives in quiet gratitude for the people who brought their heartache a glimmer of peaceful closure or joy. This is what life and living is all about. Sharing experiences. Reaching out. Bringing hope to the hopeless and love to those who feel all is lost. While I would love to knit some of the amazing sweaters I see online, nothing will compare to the joy of knitting a blanket for one of these infants! Knitters, keep one of these projects in your bag at all times! 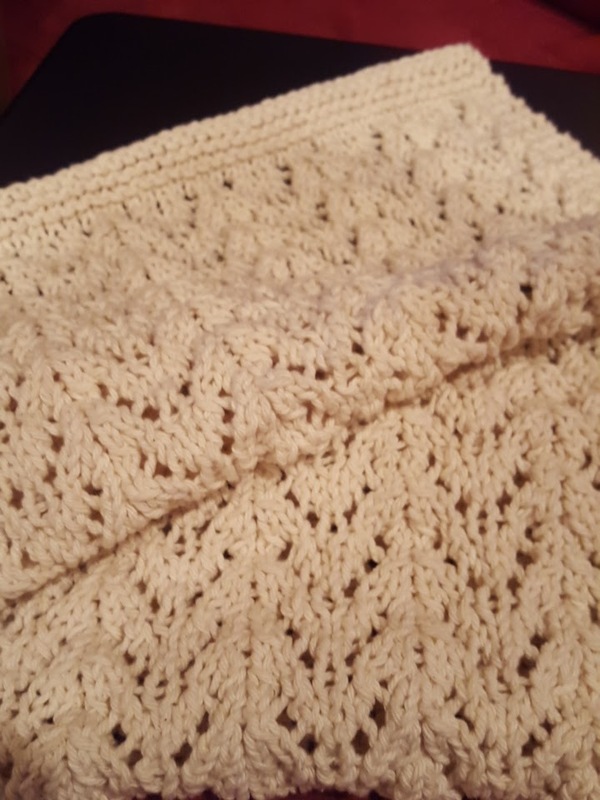 Knitters, keep your thoughts and prayers focused on each and every stitch that will make the blanket whose purpose is meant to wrap a child in crisis or adorn their tiny bodies at baptism. 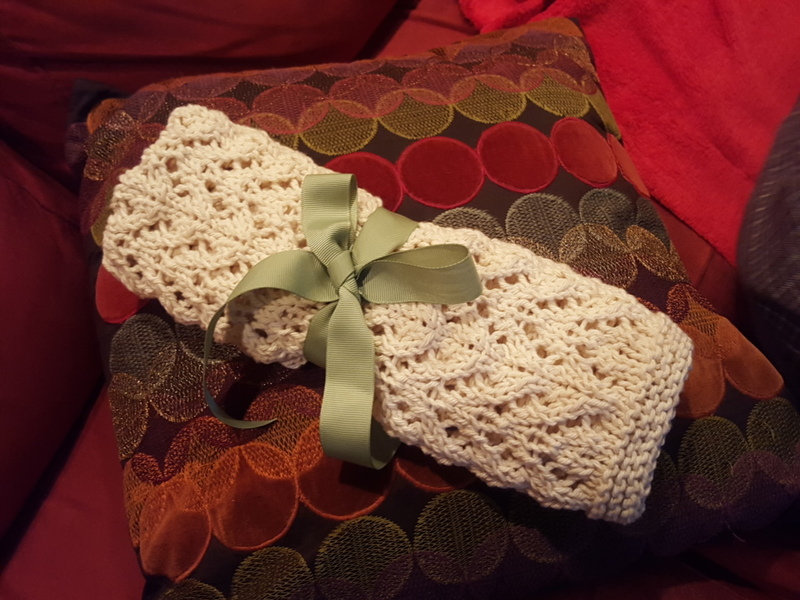 As knitters, we can give no greater gift than a part of our lives…prayers, time, and love.